On a Monday morning in the early spring, participants, funders, coaches and coordinators, mingled in the Revelstoke Community Centre. They were there to celebrate the end of the last session of the Together in Movement and Exercise (TIME) program. TIME, a program geared towards people with mobility challenges, has been offered in Revelstoke for three years. 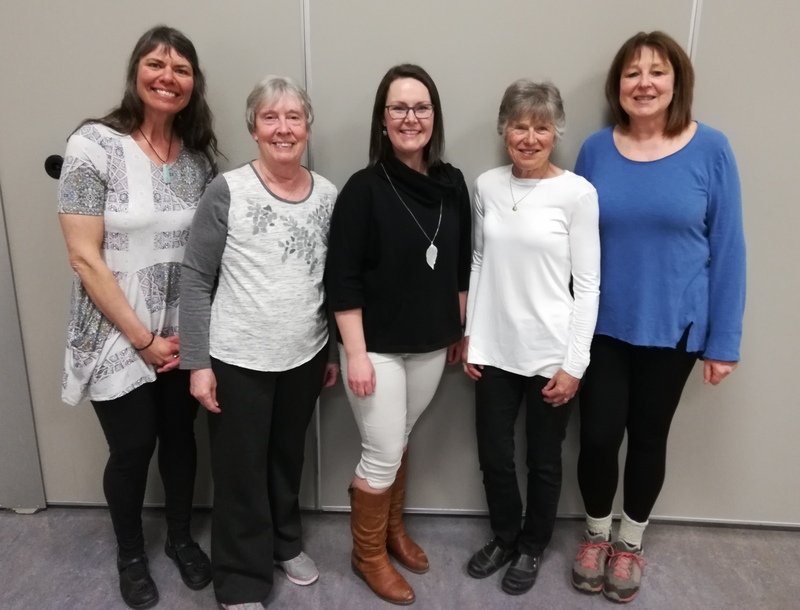 Recently, Meghan MacIsaac, Recreation Facility and Program Director for the Revelstoke Community Center, secured funding for the program to both continue and grow. That morning while enjoying coffee and croissants, I meet Peter Sutherland, the program’s very first participant. At the time, Peter was referred to the program by Dr. MacDonald. 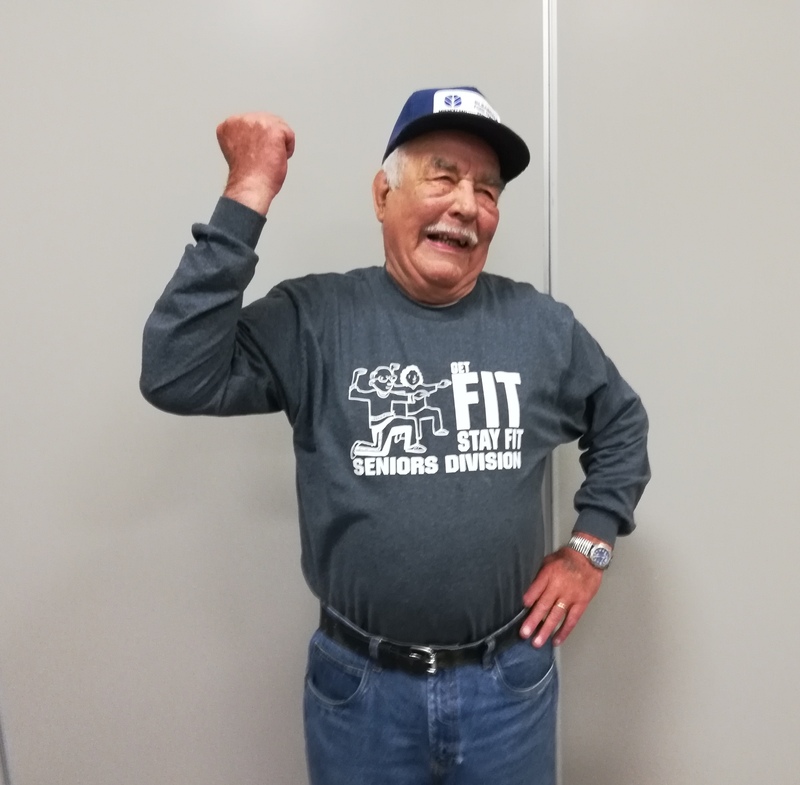 “I was having trouble with my legs, and the Dr. told me there was a new program starting and he was going to recommend me for it,” says Peter. While a pamphlet now used to advertise the program shows Peter with a smile on his face and a leg pointed out behind him at the barre, it didn’t start that way. Don Crawford enjoys the class so much he had himself a shirt made up that reads ‘Get fit, Stay fit. Seniors Division’. Don, who was referred to the program, plans to attend again in the fall. “If I’m still around I’ll be here too,” quips Cyril. 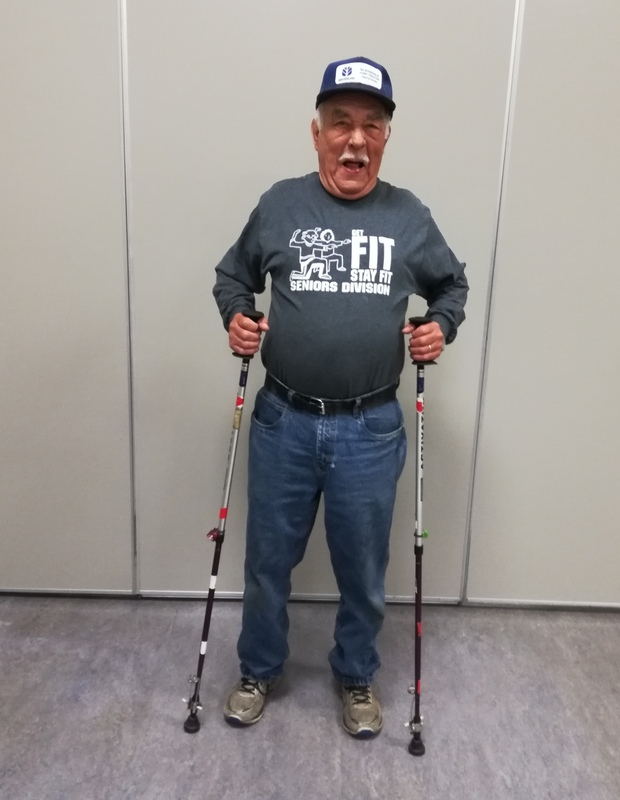 Most of the time, Don uses two walking poles to aid in his mobility. Cyril points out that they have small flashlights attached to them. “It’s for night driving,” laughs Don. The camaraderie between the men is palpable as they tease each other. For the coaches Janna Jones, Chantal Faucher, and Neil Jones, it’s good to see. The coaches focus on positive reinforcement and motivation as well as both the mental and physical well being of the participants. All the coaches are eager for the fall, when the next session will start. They hope to keep attracting more people into to the program and are excited to brainstorm what they can offer in the anticipated ‘graduated’ program, which will offer more mobile participants like Peter new challenges. 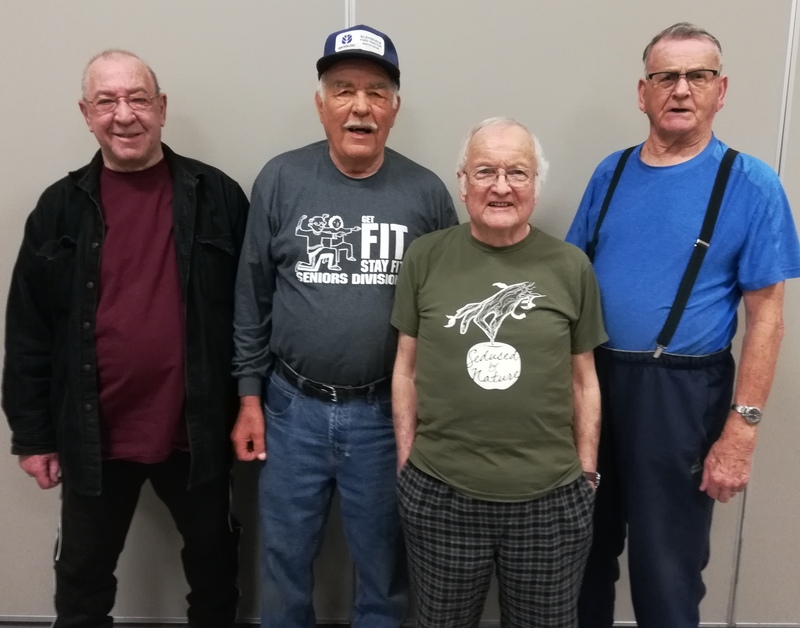 Chantal, who has been a seniors aerobics and aquafit instructor for fifteen years, has found many of the participants in her other classes come and volunteer at the TIME sessions. “My aquafit ladies come, including Chris Meade, Elizabeth Poarch and Nancy Parrott, to help out” she says. The volunteers are, all the coaches agree, a huge help. After three years, the grant that originally funded the program has been spent. A Columbia Basin Trust grant was secured to help with the next sessions expenses. 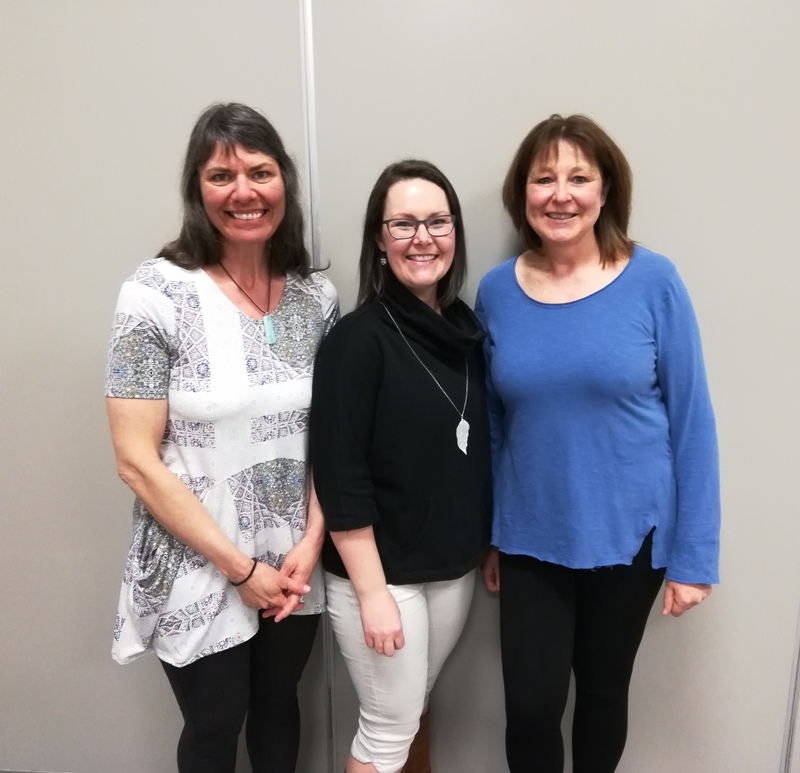 Megan approached two local organizations, the Revelstoke and District Health Foundation and the Hospital Auxiliary Society, and they have stepped up to ensure the program continues. 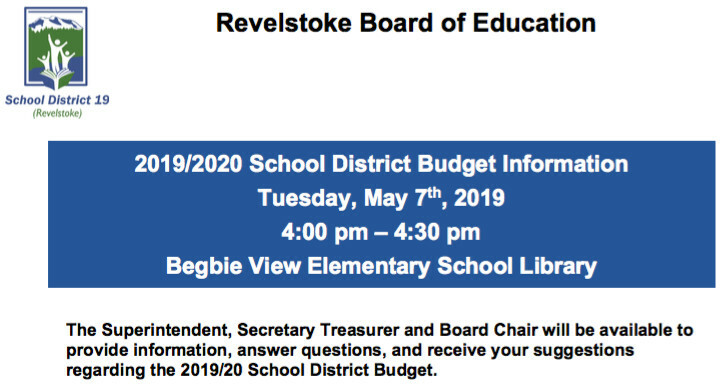 For Revelstoke and District Health Foundation representative Margaret Zielonka, deciding to help fund the program was an easy choice. The board of directors for the foundation discussed funding the program for “about two minutes,” she laughs. The TIME program initially came to Revelstoke thanks to a series of serendipitous occurrences. Back in 2015, Rubyanne Meda at Revelstoke Interior Health attended a symposium in Kelowna. “It was all about looking at community partnerships from a physiotherapy perspective, and the TIME program was one that was presented. I thought, wow, that would be really great to have something like that in Revelstoke,” she says. Rubyanne got in touch with Jill Zackarias, Social Development Coordinator for City of Revelstoke. 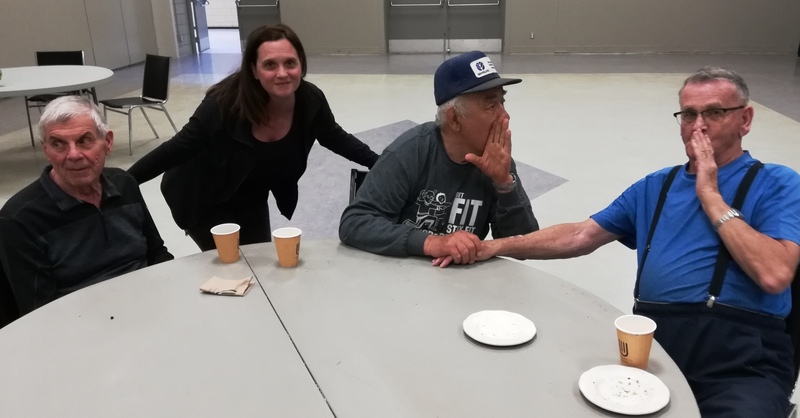 “Not a week prior that, Meghan Macisaac had called me wanting to know about programming gaps in the community and how Parks and Recreation could help. So one one hand I had Rubyanne with a program and on the other Meghan wanting to know programming gaps,” explains Jill. The last piece of the puzzle was covering the cost to purchase the licensed program as well as train and pay instructors. Jill successfully applied for a community Age Friendly grant. One of Jill’s focuses is providing programming in the community that supports seniors to age in place. TIME was a perfect fit. 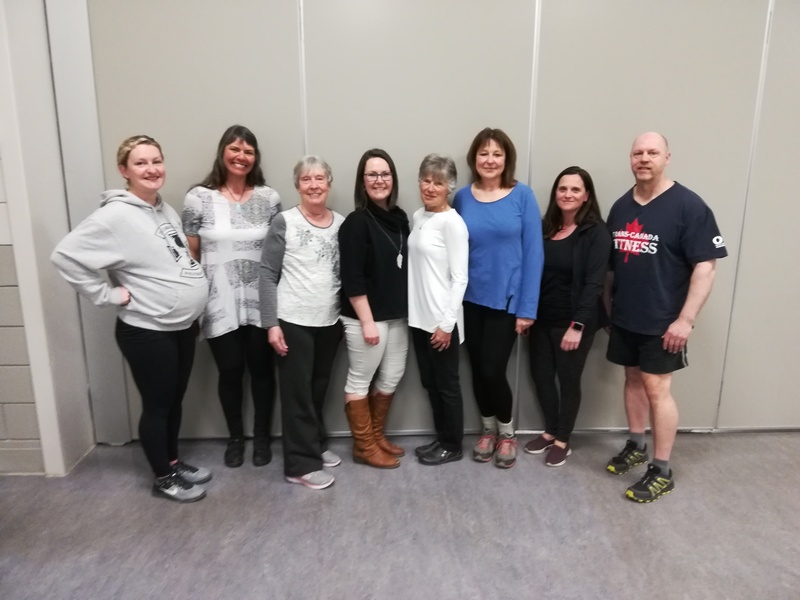 With the new funding Meghan has secured the TIME program, after just celebrating three years of encouraging mobility and fitness, is going to allow the program to both continue and grow. The participants are thrilled about it. “I’ll be here,” says Peter, as Don and Cyril nod in agreement. 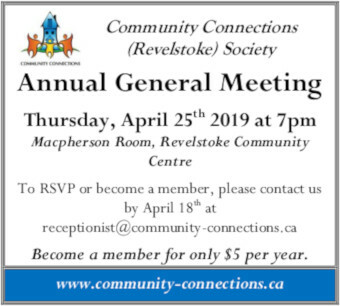 If you or someone you know could benefit from TIME, or are interested in taking part, contact Meghan MacIsaac at the Revelstoke Community Centre. Don and his walking sticks, who he jokingly refers to as his step daughters, Lucille and Mary.